Herbal Medicine is the study of the medicinal qualities of plants, and their practical applications, to heal the symptoms and cause of disease. Knowledge of the use of herbs for medicine predates the knowledge we currently have of the evolution of humankind. The earliest discoveries of humankind include discoveries of our close connection to medicinal herbs. Ayurveda is the oldest complete system of herbal medicine known, more than 5000 years old. Currently the majority of medicines offered by mainstream medical doctors are based on the medicinal properties of plants, including common medicines such as anti-inflammatories, fever reducers, pain killers and penicillin. As the world discovers that the chemical synthesizing of the ‘recognized’ active ingredients of plants carries its price, not only to our health, but to the health of the planet (plants are far too complex chemically for scientists to understand their holistic actions of the body), increasing numbers of people are returning to the age-old, and significantly safer approach of using the whole plant, rather than its parts, for supporting health and healing. In her practice, Shanti uses therapeutic grade liquid herbal extracts (organic wherever possible) which are alcohol-based herbal extractions. Shanti sources most of her liquid herbal extracts from Phytomed, New Zealand's premium herbal manufacturer. These extractions tend to hold their potency longer (than dried plant material), have a longer shelf life, and often encourage patient compliance. For example, it can be easier & simpler to take 15ml of liquid herbs per day than to drink 25 cups of herbal tea. In general, Shanti uses tinctures or extracts over dried herbs. Some herbs can easily be found in our backyards, but others are more exotic, so liquid extracts are more appropriate. Herbs can be used in a such a multitude of ways: to encourage elimination, expel mucous, increase immunity, ease inflammation, calm digestion, promote lactation...and generally work naturally with the rhythms of the body to create balance within the body's systems. Herbs work wondrously with the cells of the body (and the energy of the spirit) for most anything! Whatever our purpose, herbs seem to have the answer. We are not separate from nature, so it makes sense to use nature, something created by the divine, to heal our aliments and keep us strong and vital. Herbs are alive and they promote that quality within us! To find out which herbs are best for you, it's important to work with a trained Herbalist who will take a thorough case history. Shanti creates herbal remedy blends to suit each individual client. 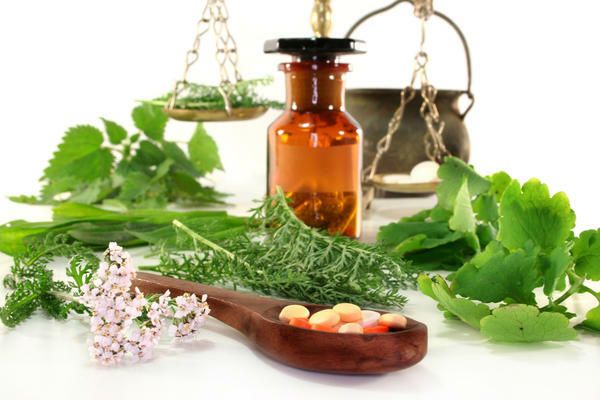 What many people do not understand about herbal medicine is that it generally takes longer for the body to regain balance using natural remedies. In our modern world, we often expect "quick fixes." However, with natural remedies, such as herbs, it can take time for the body to regain its balance and patience is required. It is actually preferred that the body heal gradually, as then the body's energy pathways, brain, organs, and nervous system have all had time to catch up to this new way of functioning. Time allows for detoxification, purification, and rejuvenation of the body, mind and spirit. Herbalists are always working from a holistic standpoint and in tune with the body's natural rhythms. Most pharmaceutical drugs were originally derived from plants. Herbs are a gentler form of medicine than pharmaceutical drugs, therefore they may take longer to initiate change. That being said, you can also have very quick results with using herbs. For example, quick results can be found in cases of boosting the immune system and first aid. As a general rule of thumb, it is unrealistic to think that chronic or ongoing health ailments will "vanish" after one bottle of herbal remedy. If you have been suffering from a health imbalance for a number of years or months, then it would be realistic to say it will probably take 1 to 6 months of taking herbal remedies (and following your health programme!!) to regain a health-full vital balance. If you are addressing the emotional aspects of disease at the same time (using EFT or some other therapy) then you can expect MUCH quicker healing results. Again it's important to remember that herbs work WITH the body, mind and spirit. Herbs have an energetic quality to them that is completely void from pharmaceutical drugs.They are deep, effective agents of change. Given a chance they will work their magic. Another beautiful and bountiful advantage of Herbal Medicine is that it's all around us! All around us in nature, our gardens, in the wild, and even in the cracks of city sidewalks. Everything is Medicine in Nature! Nature (Planet Earth) is THE best and most bountiful pharmacy ever created or invented. So even in dire economic situations, medicine can be found. Nature has provided us with everything we need to sustain a Thriving lifestyle. We just need to know where to look and when to use it. You can incorporate a bit of herbal medicine into your daily food intake in a salad, smoothie, or tea. If you are interested in learning more about plant identification, check out my upcoming events for Wild Weed Walks. Some herbs can be used daily and others are best used only for certain situations. Learning how to use these edible medicinal plants is priceless ancient knowledge. Shanti also makes herbal preparations for ﻿Animals﻿ of all sizes, ages, and types. Another well known herbalist, Susan speaks about the Wise Woman Tradition: about being in touch with nature...Plants, Herbs, & Earth. Dr. Christopher is a very well known practical herbalist that has been around a LONG time.